We work really hard to find you the best flowers, unique flowers, fresh flowers, local flowers. Needless to say we are intense about our sourcing and it shows in every arrangement. An average wedding includes 20+ flower varieties from 5+ local farm & speciality importers. That means for your event we're meeting up with farmers in Indiana, Kentucky and sometimes Tennessee, we're shipping in speciality vines from Texas, and signature blooms from California, Holland & South America. Plus every wedding is sure to include some of our signature “weird bits” collected from our own farm. We make a big effort to get you the very best blooms. We certainly don't do it alone. The local growers we partner with truly have the best product in the business. They love flowers as much as we do and they work incredibly hard to give us amazing stems every single time. We sit down together at the start of every season and plant specifically for Petal and Pine brides. We look at the calendar and your colors and we custom grow just for you. This is why our arrangements look unlike any others you've seen at events recently. Plain and simple, this is our magic ingredient. This is why we love local. 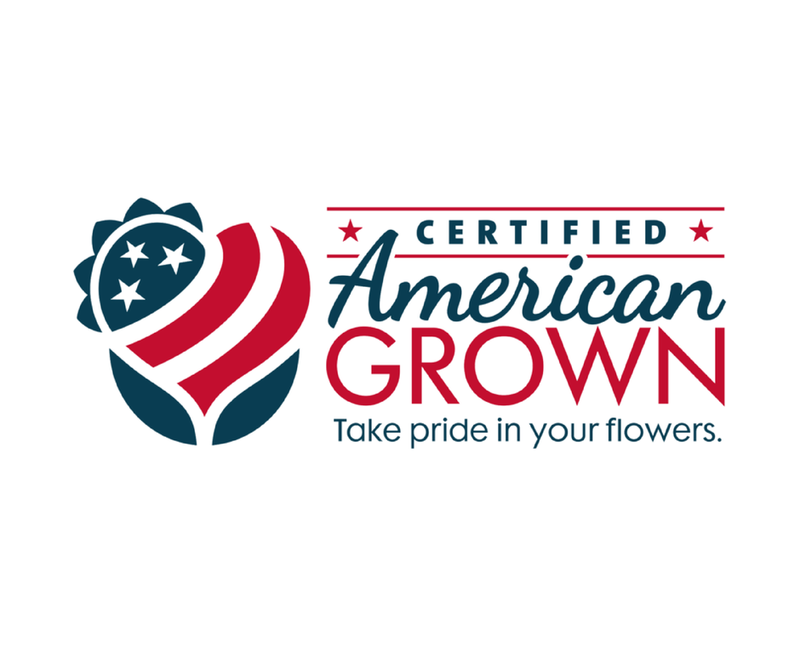 We gladly support the efforts of these great programs that champion domestic American grown flowers. A very heartfelt thank you to Ella King and Sue Ellen Claggett, flower farmers that give each bloom as much love as I give my brides. You make my job a great joy.